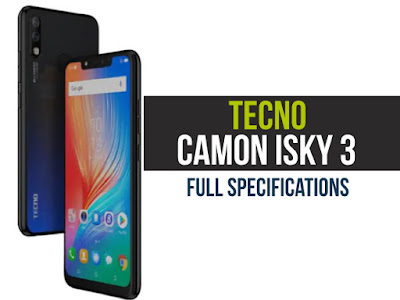 In March 2019, the smartphone Tecno Camon iSky 3 was launched. The phone comes with a touchscreen display of 6.20 inches and a 19:9 aspect ratio. A 2.0 MHz quad-core processor powers Tecno Camon iSky 3. It comes with RAM 2 GB. The Tecno Camon iSky 3 is powered by a 3,500mAh battery running Android Pie. The Tecno Camon iSky 3 on the back packs a 13-megapixel primary camera with a f/1.8 aperture and a second 2-megapixel camera as far as the cameras are concerned. It sports a selfies front8-megapixel camera with a f/2.0 aperture. The Tecno Camon iSky 3 runs Android Pie-based HiOS 4.6 and 32 GB built-in storage packs that can be expanded with a dedicated slot via microSD card (up to 256 GB). A dual-SIM smartphone is the Tecno Camon iSky 3. The Tecno Camon iSky 3 connectivity options include Wi-Fi on both SIM cards with active 4G. 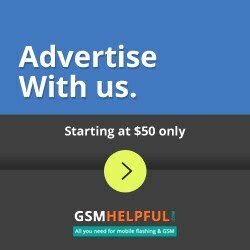 There are fingerprint sensors on the phone. The iSky 3 Tecno Camon supports face unlocking. It was launched in the colors of Midnight Black, Aqua Blue, Gold Champagne, and Black Nebula.